I helped my wildling make a painted noodle necklace today. 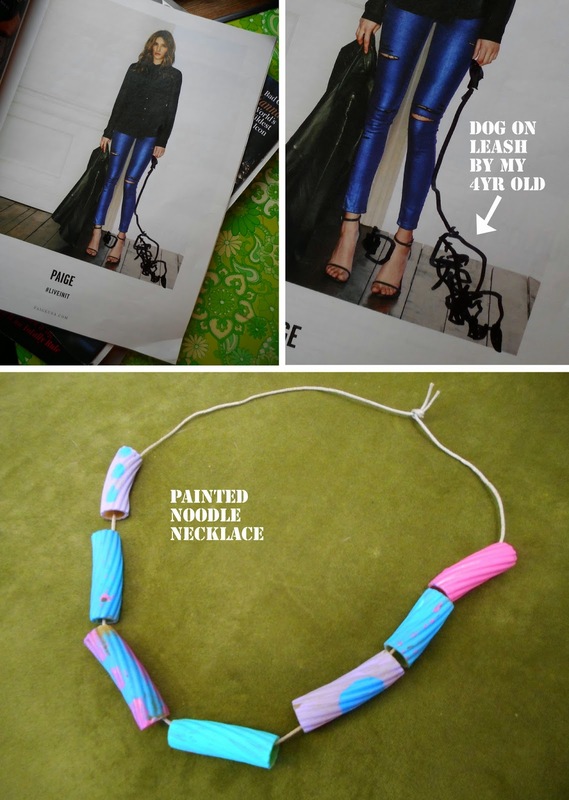 Rotini noodles, acrylic paint & a little string is all you really need. After some free-drawing with markers, I opened my magazine to see that she had altered one of the ads by giving the model a dog on a leash. 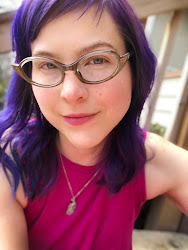 I love my little creative weirdo. 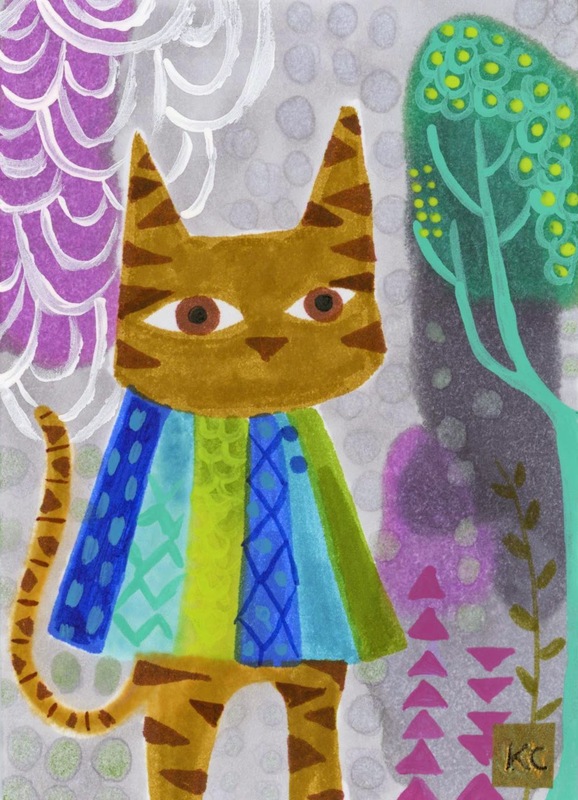 "Cat in cape" bid now on this tiny illustration. Just because you're a cat, doesn't mean you shouldn't try to look your best. Plus capes are very forgiving. 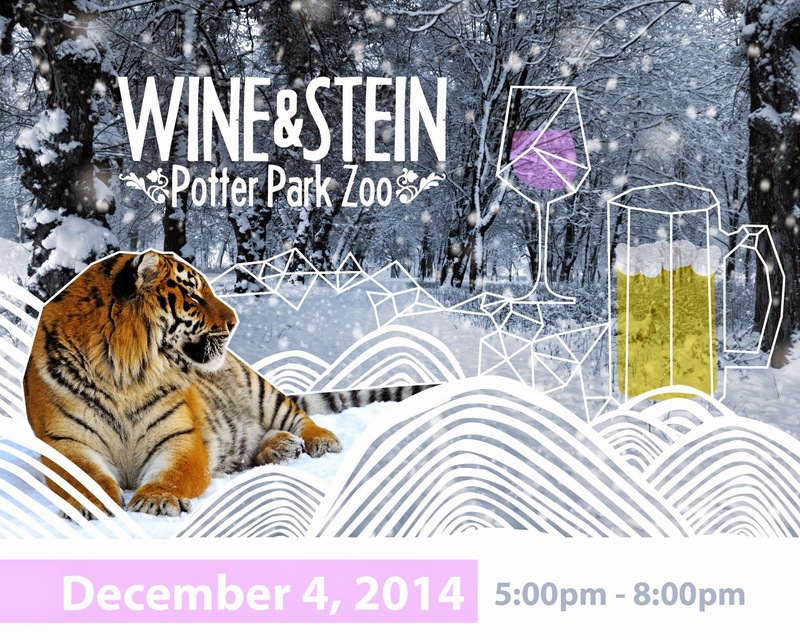 I just finished designing a billboard for the PPZ Boo at the Zoo. Whenever I have the opportunity to put tiny hats on animals, I'm gonna put tiny hats on animals. That is a promise. Few things are cuter than animals salted in snow flakes while buzzed hipsters Instagram photos of them, so you definitely do not want to miss out. 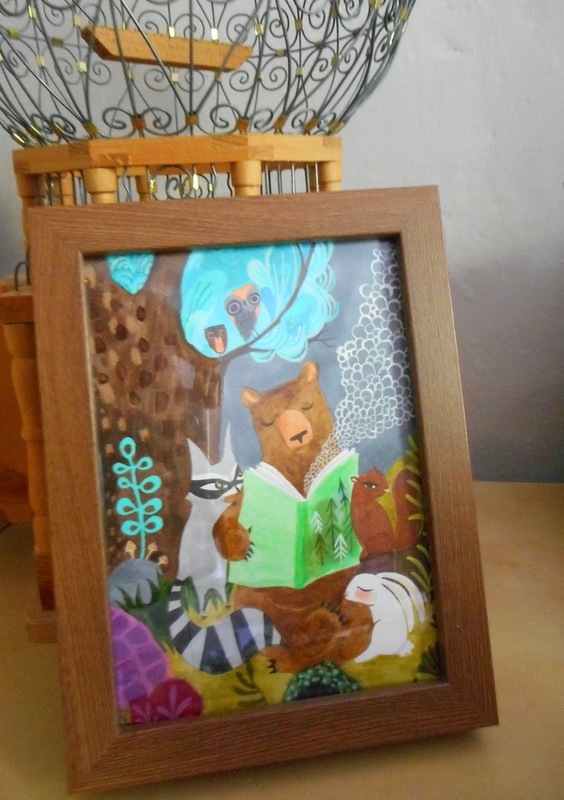 The Libearian (see what I did bear...) is a new 5x7 piece that was created and then sold all within a few days! Don't disBEAR (this is a sickness) even though the original has a new home, you can still pick up a print for the book enthusiast in your life. "Loundmouth Blackbird" bid now on this tiny illustration. A bird sits in the tree outside my window & competes with a train to see who can wake me up earlier. Shut your mouth, blackbird! New art alert... 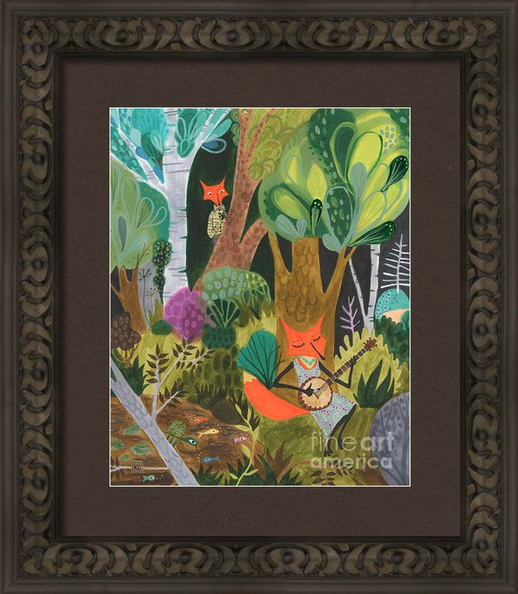 While the original has sold, you can still get your very own print!